We were talking the other day about what is taking place on the coastal regions of Oregon and Washington. 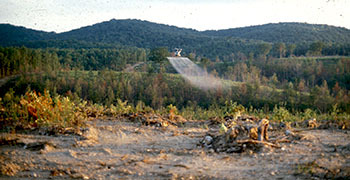 The timber companies have decide to spray the newly logged off hillsides with pesticides (similar to “Roundup”). You know the one!? Most Americans use it to kill off weeds on the sidewalks, driveways and patios. Yes that Roundup. So of course the reasoning is that the underbrush that grows up, after a hillside is logged off, is competing too much with newly planted trees and so must be hindered. Brush like blackberries, grass, foxglove, young alder saplings, and other low growth. These pesticides (herbicides) don’t just fall from the delivery system they use they get picked up and drift with the wind. The intention is to spray on a newly planted hillside, BUT…. Where do you think it drifts to and what other animal and plant life get sprayed as well. 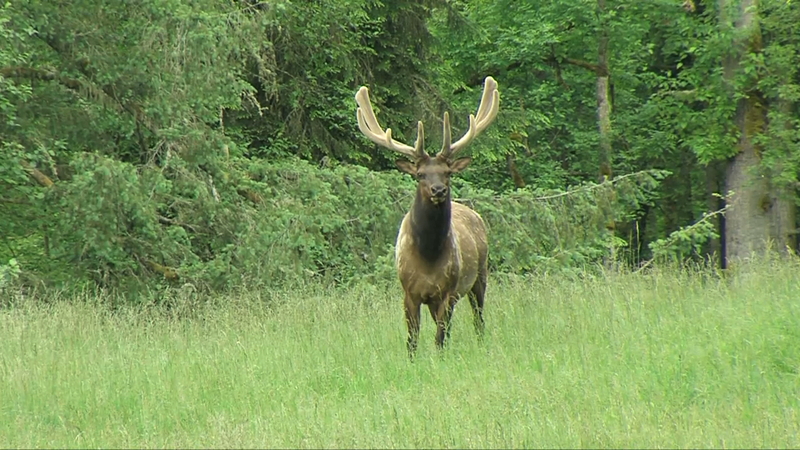 The elk herds in southwest Washington have hoof rot. Wonder what is causing that? Oregon and Washington are big states for the save the Salmon bunch and lots and lots of money has already been spent to help increase the salmon runs in all of the creeks and rivers that flow to the ocean. Gee, I wonder if more money will be spent to save the salmon for another 40 or 50 years. Looks like they will have to because now they have to study the salmon to see if they are being dwarfed, mutated and not spawning, or unable to. And now the fish and wildlife people get to get money to study the elk to see why the hoof rot is happening. They will find mutations and other health problems with the wildlife. What ever happened to, its illegal to spray dangerous herbicides and pesticides. With over-spray or wind drift, what is happening with the water supply? The water supply feeds water for human consumption as well as wildlife including bear, raccoon, squirrel, chipmunk, deer, elk, lynx, bobcat, mouse, salamander, frogs, bald eagle, osprey, salmon, trout, beaver, moles, voles, the spotted owl (for gods sake), banana slug, snail, blue heron, woodpecker, Murrelet, Peregrine falcon, turtle, goose, crane, Blue jay, hummingbirds, red tail hawk, goshawks, harrier hawk, grouse, wolves, coyote, weasel, mink, Bees, ferret plover, rabbit and many numerous insects. Look at this list and then compare it to the endangered species list and you will find quite a few on there. The eagle is a protected specie which carries an enormous fine but do they think of what the spray is doing to them? What about the precious wetland? 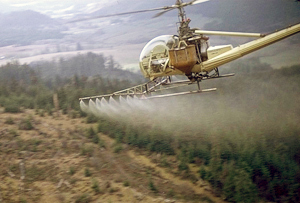 When did it become okay to spray something more dangerous than DDT??? This is happening internationally also! What will other countries do about this? 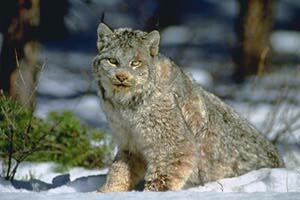 I am adding some information about roundup and what it is doing to people and wildlife. The effects on the forage or food source for wildlife DOES have adverse affects. The timber companies spraying t5his toxic chemical in order to allow trees to grow better and stronger is a myth. Please read the following articles about the dangers of glysophate (Roundup). Water, Water, everywhere not a drop to drink…. Why do you think that the EPA, Water Quality, Save the fish people, Save the bird people are all on board with water rights and property rights issue. Because that is where the control of the people is. If they have complete control of every drop of water in the nation let alone the world they can control the people. The Agenda is to move people into the cities or more populated areas so they can control how we treat nature there is a move on to get areas of our nation into, ” no walking zones”. These zones are currently called Biospheres. This way the natural environment can thrive (in theory). But it will be about the rich can go do their thing on the no walk zones. This is not a conspiracy theory this is real. Read the whole Agenda 21 booklet, then educate yourself on the UN and their plans. Every one is kidding themselves if they think that the ecology groups under the guise of Water quality, EPA, Endangered species act, Air Quality and other governmental organizations are here to help the people live better lives. These organizations have been hijacked by the same people who are taking land from the people. Just look at the Cliven Bundy situation. Don’t just read the story on him, look behind the scenes and see what is happening around him and 100 miles away. Follow the money behind those scenes and you will see what is really happening. I have actually seen the plan of an ecology group, their plan is to buy up 200 acres both side of the Snake River from mouth to headwaters. They are patient and exacting. They have a plan and they WILL carry out their plan no matter what it takes. They are not ethical about it. They are not honest about it. 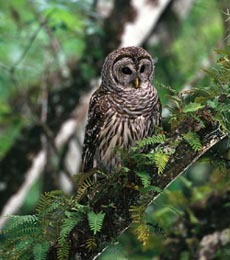 They, being the NGO’s that work to change nature laws to benefit them. This is NOT a Right or Left issue. This is not a Carter, Bush, Reagan, Nixon, Clinton or Obama issue. This is a much larger issue. The different administrations have just implemented little pieces. The latest administration is young enough and have been indoctrinated enough, to believe that the save the planet issue is the most important. In order to implement a UN Agenda to the United States there is a constitution standing in the way. So what better to do indoctrinate a generation into thinking that the world leaders know better know how to save the planet, so wipe away the constitution to implement world laws. Tax the dickens out of urban areas and it will empty out. 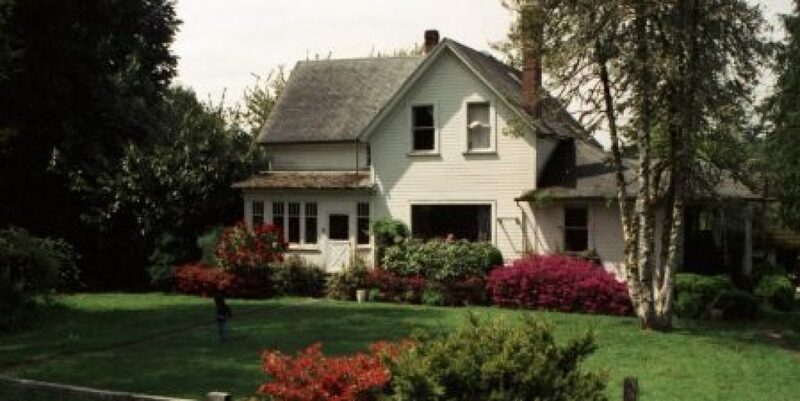 Fine people for building on their own property and people will not buy land. Regulate what can be grown on your own land and people become leery. Make the land so expensive and no one but the big boys(girls) can buy. There is a plan and children your children are being indoctrinated into it. The uninformed are being indoctrinated. The ignorant are being indoctrinated. The American people are being kept busy trying to keep a roof over their heads and food on the table are being indoctrinated. Cities across the nation are doing the sustainable thing to indoctrinate the people into a plan that will control them for the greater good. WHO’S GREATER GOOD? is the question everyone should be asking. Why did the landslide take place in Washington state and kill people? Why is the Katrina money not rebuilding New Orleans? Why are people still waiting on the money for the devastation of Hurricane Sandy. Just like the bureaucrats to know of a problem and purposely not fix it. But of course they did the proper studies and they announced the problem. They even told the public about the study. A meeting was held and at the meeting it was announced that a geomorphologist accomplished his study and his finding where that something will happen from the problem. The NGO’s and GO’s do this all of the time. Now that I have confused you enough or given you an enigma let me tell you a story that will help put all these statements and questions into perspective. First point of interest all someone must do is a report to the public. Like for instance to make something like a prenuptial agreement legal, activate the legality of the document you must publish it. Make it publicly disclosed. On any study, done by public funds (tax payer dollars), the study must be published and disclosed to the public. Now we come to the enigma. Certainly meetings are held to announce that the study has been accomplished and can be found on this or that website or you can pay to have it sent to you. Sounds good so far doesn’t it? Well, bear with me, a little. When we were in our last months in the Grays River Valley, a study was done by a Geomorphologist. The purpose of the study according to the people living in the valley(those that were paying attention) was to define how the river will live. The study was done in seeking solutions to the severe flooding that was taking place in the valley. I attended the meeting that announced the Geomorphologist findings. 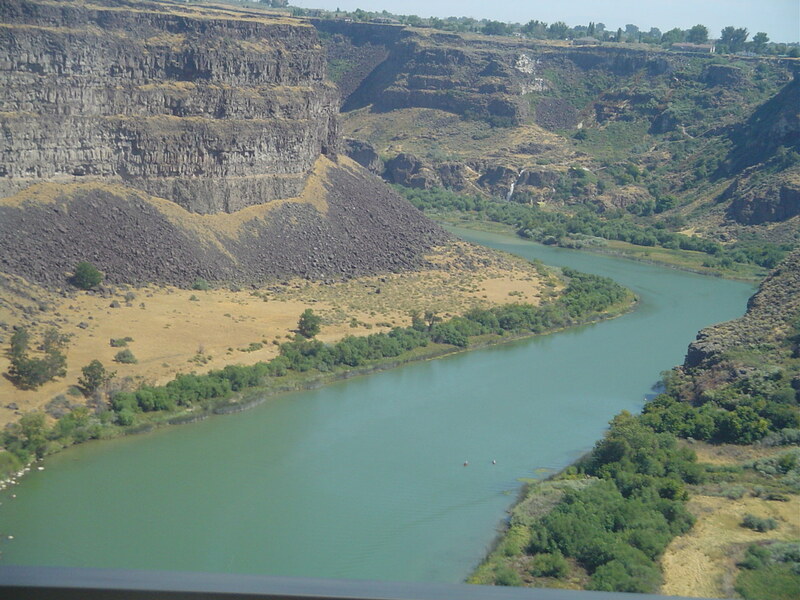 The Geomorphologist took me aside at the conclusion of the presentation and told me his findings on the Grays River. He announced to me that the river will be “straightened out.” I do not know why he told me unless it was because I wrote for the local paper. I never put this in the local paper. If the river were to straightened out it would take out some homes and severely reduce the property of others. The flooding that will take place when the river does do this will be devastating. It would be okay to those in the know tho because a few homes are okay. It meets the greater good of restoring the salmon to the river. The restoration of salmon habitat is the most important factor. It does not really matter to the “save the whatever groups”. If it meets the need then it was needed to take out some homes. As long as the report is published somewhere it absolves them of responsibility. After all they “told the public”. Even if the publication is obscure and unreadable with convoluted terms, nothing has to be straight forward. 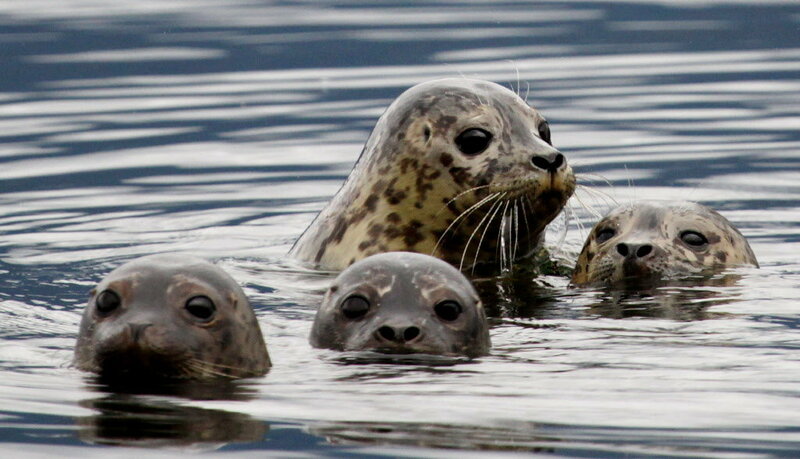 Urban development is the biggest and worst threat to salmon recovery. This has been clearly stated in all “salmon recovery plans” across the nation. All means to convince land owners that conservation is the key to sustainable development. What they won’t tell you is that natural disasters work well in their plans. They have complete plausible deniability when a disaster takes place. I recommend to anyone who wants to get to the bottom of this disaster that you research what land has been put into perpetuity for stewardship by an eco group.? While we the American people have been focused on Obama Care or whatever care you call it, the ecology people have been hard at work maneuvering to take our water rights. If this growing agenda and movement withing the GO’s continue, you and I will have to pay for every drop of water that flows on our lands. In 2010 the Obama administration’s Environmental Protection Agency ordered Maryland to reduce storm-water runoff into the Chesapeake Bay so that nitrogen levels fall 22 percent and phosphorus falls 15 percent from current amounts. The price tag: $14.8 billion. And where do we get the $14.8 billion? By taxing so-called “impervious surfaces,” anything that prevents rain water from seeping into the earth (roofs, driveways, patios, sidewalks, etc.) thereby causing storm water run off. In other words, a rain tax. Another move by the EPA to force different entities to control water. A move to control every drop of water all across the country. The state law is kind of squishy. It can be spent to build and maintain stream and wetland restoration projects. And, of course, a lot of it will go to “monitoring, inspection, enforcement, review of storm-water management plans and permit applications and mapping of impervious surfaces.” In other words, hiring more bureaucrats to administer the rain tax program. It can also be spent on “public education and outreach” (whatever that means) and on “grants to nonprofit organizations” (i.e. to the greenies who pushed the tax through the various levels of government). Yet the tax does not apply to government entities only private citizens, no-profits and religious properties. This local compact is not just in your backyard, it is nationwide. This is a larger agenda from the UN. The ultimate goal is to control the people. If you control the water you control the people. We all know water is important to sustain life. Our bodies are made up of 57% water. Big business operate under different rules than you and I do. If they add the right taxes to the ecology movement can utilize the water resource anyway they want. (If it is beneficial and sustainable anything is okay). In the meantime the government manipulates the press to focus on a single controversy so the American people do not pay attention to how property rights, water rights, and other freedom rights are being taken away. 2)All States and all people shall cooperate in the essential task of eradicating poverty as an indispensable requirement for sustainable development, in order to decrease the disparities in standards of living and better meet the needs of the majority of the people of the world. 4)The right to development must be fulfilled so as to equitably meet developmental and environmental needs of present and future generations. 5)To provide leadership and encourage partnership in caring for the environment by inspiring, informing, and enabling nations and peoples to improve their quality of life without compromising that of future generations. Do you think Barack Obama, is saying the Mantra of the day to suit the UN or do you think he really believes what he is saying? WHO DO YOU THINK IS SAYING EACH STATEMENT?? Give me your opinion in a comment….